Save the Dates for these November Special Events! It’s time once again for the Outlets at Lake Elsinore’s one-of-a-kind day of shopping, eating and pampering, benefitting local charities. 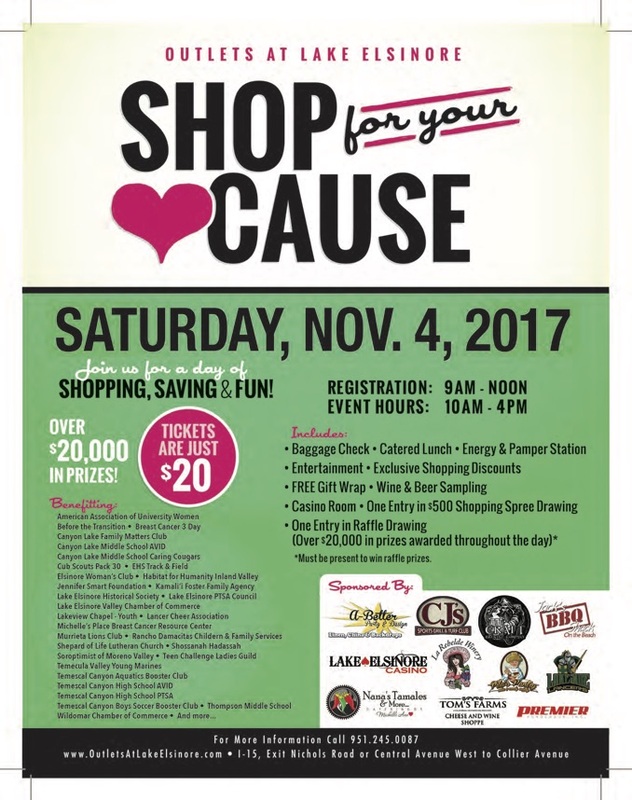 This year’s Shop for Your Cause will be held on Saturday, November 4th. Tickets are available for just $20 each at the Find Your Voice Center. Contact us to reserve your ticket now! More details about all the benefits you get from participating in this event can be found on this flyer. We’re excited to announce that our first celebrity co-fundraiser will take place on Saturday, November 18th, featuring our friend, actress/singer/dancer Alyson Stoner. You may know Alyson from her roles in “The Suite Life,” “Camp Rock,” “Step Up,” “Phineas & Ferb” and more. Alyson is also a gifted singer and dancer, who’s been featured in many music videos and teaches hip hop classes in Hollywood. In addition to supporting our Find Your Voice Center, this event will benefit Alyson’s favorite charity, I Pour Life. More details on our Meet, Eat & Dance packages for this event will be available here soon, so please check back.